Dr. Karen Smith graduated from UCS with her DPT in 2000. Her areas of expertise include sports, women's health, and vestibular rehabilitation. She loves to help all types of people and feels like physical therapy has been her calling. She enjoys running marathons and biking in her free time. Janie is a wonderful PT with 6 years experience working on all kinds of treatments. Jeff Schneider, DPT, OCS is the clinic manager of DC Physical Therapy. Jeff obtained a Bachelors in Exercise Science from the University of Delaware and went on to get his Doctorate of Physical Therapy at Ithaca College. 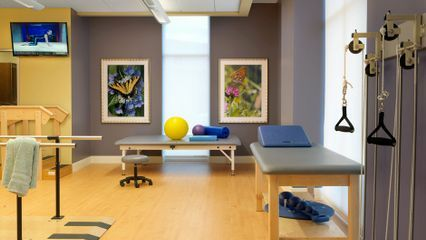 Jeff treats patients at all levels and specializes in adolescent athletes and runners. Jeff has completed continuing education courses in assessing running injuries and injury prevention. Jeff enjoys marathons and triathlons in his free time.